Tim Kaine part of a group of senators calling on Congress to add $320 million for Israeli missile defense to defense appropriations bill. 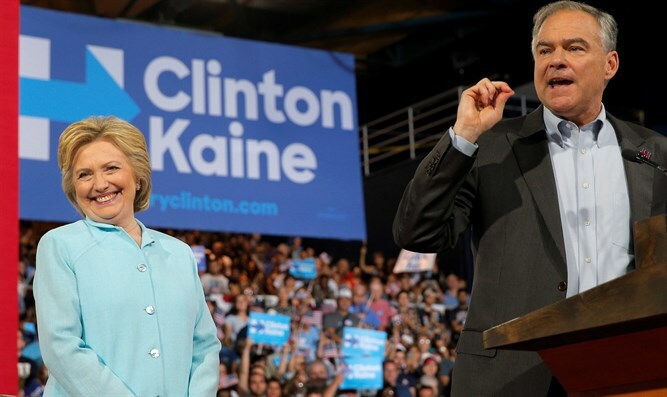 Hillary Clinton’s running mate, Tim Kaine, is part of a group of senators calling on Congress to add $320 million for Israeli missile defense to the Senate version of a defense appropriations bill, JTA reported Wednesday. Sens. Mark Kirk (R-IL) and Kirsten Gillibrand (D-NY) are leading the effort, which would bring the Senate version in line with one from the House of Representatives. Kaine (D-VA) is among the 36 senators who have signed on. The proposed increase in the 2017 National Defense Authorization Act would go toward three U.S.-Israeli missile defense programs and more purchases of Iron Dome systems. The White House has reiterated its objection to the Congressional proposal to increase funding for Israeli missile defense in 2017 and has threatened to veto it. The explanation cited for the objection is that the administration believes any additional aid to Israel should be part of the 10-year military aid agreement the two countries are now negotiating, and not in the 2017 defense budget.